Robert Morris postcard to Samuel J. Wagstaff, Hartford, CT, February 13, 1967, Samuel Wagstaff Papers, Archives of American Art, Smithsonian Institution. The Smithsonian’s Archives of American Art is planning an issue of the Archives of American Art Journal devoted to art and the environment. 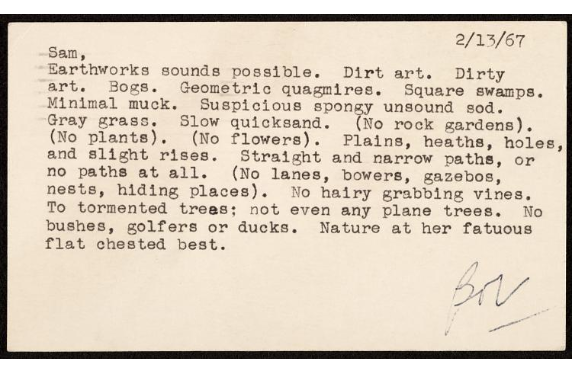 This special issue invites scholars and artists to explore environmental and ecological questions through the rich primary sources at the Archives of American Art.